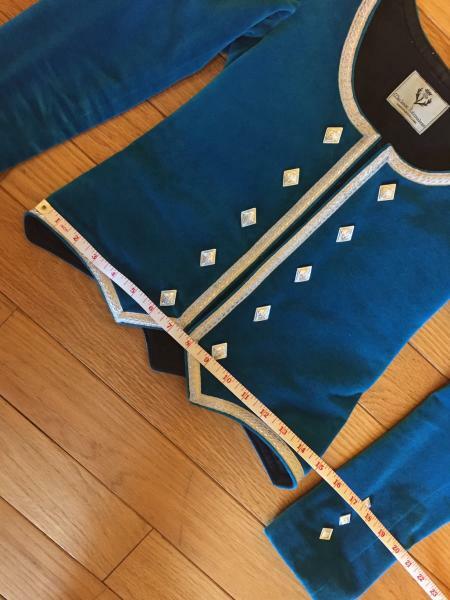 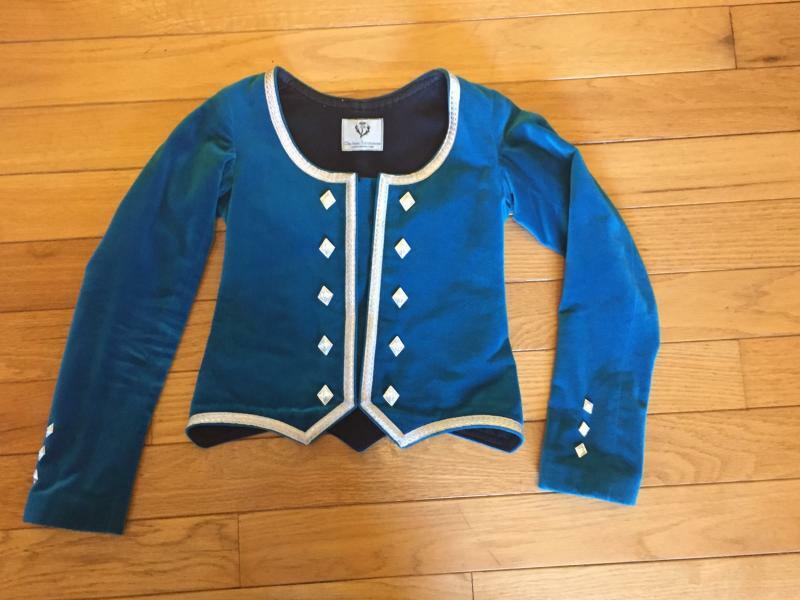 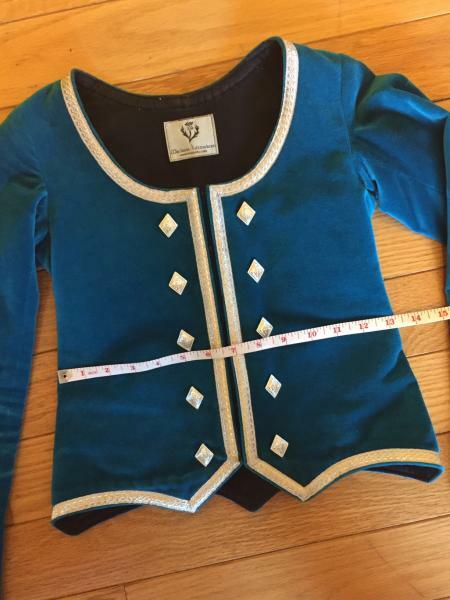 dance.net - MacIsaac Turquoise Highland Jacket (10246053) - Read article: Ballet, Jazz, Modern, Hip Hop, Tap, Irish, Disco, Twirling, Cheer: Photos, Chat, Games, Jobs, Events! 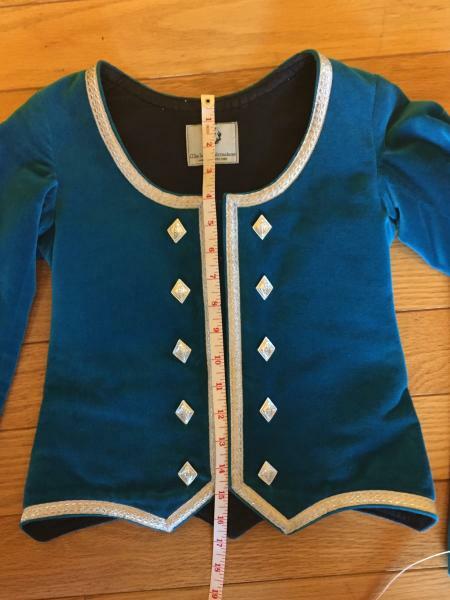 Turquoise Highland Jacket made by MacIsaac Kiltmakers in good used condition. 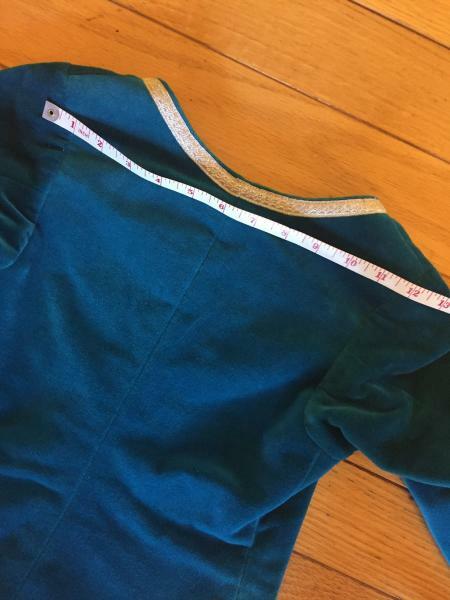 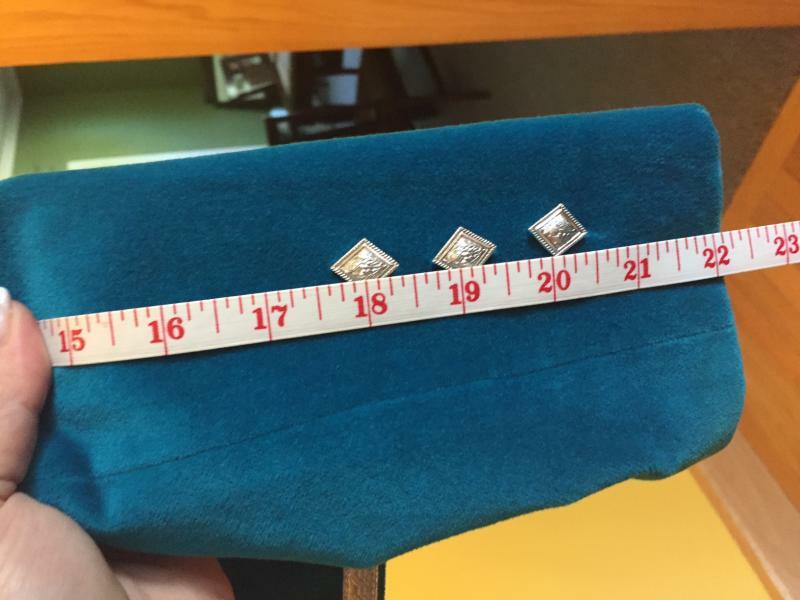 Across the Chest - 14"
Across the Waist - 13"
Across the Hip - 15"
Shoulder seam to shoulder seam - 12"
Sleeves shoulder seam to Bottom - 22"
Back of Jacket (top to the bottom point) - 16 3/4"